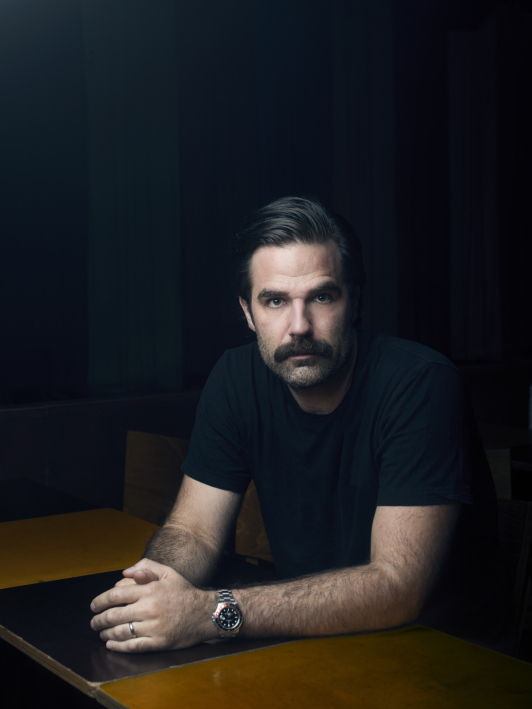 Now is your chance to watch Rob Delaney test out new material. Go! Rob Delaney is an American comedian, actor and writer. He is widely known as the co-creator and co-star of the hilarious and critically acclaimed Channel 4 and Amazon Prime comedy Catastrophe. In 2016, he was nominated for a Primetime Emmy alongside his co-creator, Sharon Horgan, for Outstanding Writing for a Comedy Series. More so, in 2018, Catastrophe was nominated for a BAFTA TV Award for Best Scripted Comedy. The series recently wrapped shooting on Season 4, which will air later this year. With over 1.5 million Twitter followers, Rob’s reach spreads beyond the US market; in the UK he sold out the Soho Theatre in 7 minutes via one “Tweet,” making him the fastest selling US performer in the venue’s history. Most recently, Rob starred alongside Ryan Reynolds in Deadpool 2 as “Peter W.” – the newest (and beloved) member to the X-Force who has no powers but “just responded to the ad.” Other on-screen credits include FX’s Trust, Comedy Central’s Key & Peele, Burning Love, and TBS’s Cougartown. Rob is also hosting the forthcoming UK stand up series, Stand Up Central (Comedy Central UK). In 2012, Rob was named one of Variety’s Top 10 Comics to Watch and won the award for Funniest Person on Twitter at the Comedy Central Comedy Awards, beating out such luminaries as Steve Martin and Stephen Colbert. He’s also been listed as one of The Funniest People on Twitter on such sites as the Rolling Stone, Huffington Post, Vice Magazine, Paste Magazine, Comedy Central, and Funny or Die. Rob’s debut one hour special, Rob Delaney: Live at the Bowery Ballroom, is available on Netflix and from Comedy Central Records. He currently resides in London and regularly performs stand up across the world.